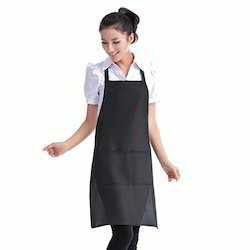 Manufacturer of a wide range of products which include restaurant uniform, hotel uniform, catering uniform, ladies apron and waiter uniform. • Product Type: Chef Jacket Shirts, Chef Pants, Kitchen Hats, Waiter Jacket, Food Serving Shirt Etc. we are offering an extensive range of Catering Uniform. Backed by our dexterous professionals, we are engaged in offering an exclusive range .